It is ideal for performing in a front room. It is perfect for a small audience where there isn't much space. 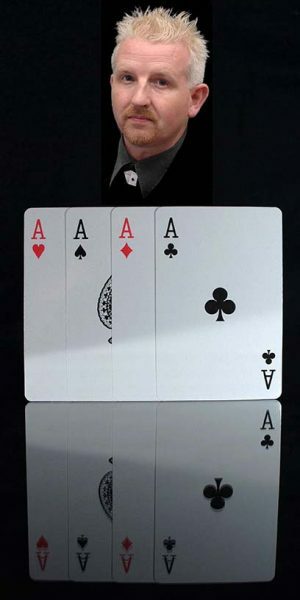 John performs a mixture of Close-Up Magic & a few effects from his Cabaret act. He can even add a few children's effects, which makes it perfect for the whole family.